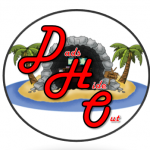 Dad's Hideout (DHO) is the online man cave for dads. Who is a "dad"? A dad is any male who has a child that they care for. You could be a dad of biological children, a dad with step-children, or just a dad because you are in a relationship with someone who has children. Heck, uncles count, too. If you care for or mentor children, you are a dad - we dads are all bonded by the responsibilities and burdens of caring for (or having cared for) the ones we call our children. Any and all dads are welcome here at DHO! Come and chat about family, life, work, your hobbies (especially dads gaming!) and anything else on your mind. We are looking to provide more dad focused content over the next few months, so stay tuned for more. Official DHO Discord Server - Come and chat live with others dads or join our voice comms and play a game or two! DHO Blog - Being a Dad is rough and tough, but having to overcome obstacles allows dad to gain experience in many aspects of life. So gather round, and let us share the wisdom some of the Dad's Hideout members have accumulated over the years! Dads Ungrounded (Adult Language Possible!) - Just a couple of dads talking about life, the world, and whatever else crosses their minds! Dads Hiding Out - It's about Dad stuff, Nerdom and everything grown, almost middle-aged, men might want to talk about! 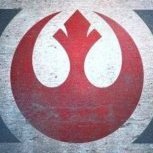 DHO Clan Listing - Looking for a clan for your game? Why not DHO? Have a clan that DHO should know about? Apply today! New Year, New DHO! We have some things planned for this year to help improve DHO and maybe even your personal lives! More to come as we develop all these things on a tiny tiny budget with volunteer time! A big thanks to all our Patreon supporters and those that used our Amazon Affiliate links. Amazon Affiliate Campaign !We have enough in the coffers to cover the first 6 months of DHO - once we have enough to cover the whole year, we will be hosting more giveaways! If you haven't donated yet, please see our PATREON DRIVE! Donations are only ever spent directly on DHO, the Forum, and Discord! Come here for the latest podcasts by DHO members! For all those dads that produce streaming content and to announcements related to the DHO Twitch Stream - Come on in! Have a question and don't know where to turn? Want to make a suggestion, or think something is missing from DHO? Post here and we will be happy to help. For all your work, financial, health, family and general dad stuff related topics. Cooking, home projects, woodworking, vehicles, sports, board games, or anything else that you enjoy doing - come share your adventures with other dads! For all your Movie, TV, Music, and Book needs - plus the occasional review! Personal Computers, Tablets, Home Theater Systems, or just personal electronics - you wanna talk about it and we want you to! Need More Fans? but where? Nintendo Wii U, Wii, 3DS, etc. Own a console? So do all these other dads! Come and chat with them about your favorite games, setups and more! DHO has an active set of Clans (DHO 1,2,3,4,5(Family only),6 and X) Come on and join that team! Want to learn more or join up? WoWs DHO Clans are standing by!